gl with your plans riu, keep us informed, I bet not only I but others would like to see more designs from you. wow those are great..with the starter effects trying mixing the glow effect of 3 with the vanish of effect 5 that would be killer, but all around awesome effects, you go to school for this, if not you should think about a career in effects. I know from previous posts you made you have a passion for picture, video editing. 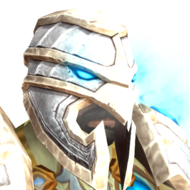 Frost DK PvE stat priority 5.4 MoP? lol..master? anywho sound advice was given on this thread, not going to start a flame war or degrade this thread with nonsense. Have fun playing the specc you like, and most of all have fun, this thread should now be closed. as the question was answered, unless any other dk's have some valuable advice to add. I AM NOONE'S apprentice. I answered for myself, not under anyone's guidance, and with that being set straight. I say personally go with the specc you most enjoy. I enjoy frost more and am going back to frost when fully geared with arena gear. I find UH better for PVP, and am blood OS, so don't wanna have to keep changing back and forth, try unholy, and decide for yourself, if you like unholy more and want advice on unholy stats feel free to ask, and as always have fun with whatever you choose. actually unholy is better for PVE atm, if you have the right trinkets, and snapshot your diseases correctly it's easy to hit a stable 250k dps. as frost Dk haste far far far outweighs crit, if memory serves me correctly I was running with approx 12k haste, and a 9 percent crit percent, but with haste proccing killing machine so much I was averaging approx 45 percent crit on both oblit, and frost strike. The DPS gain from rune regen, and killing machine proccs far far outweigh going straight crit, unless you can get around 30-35 percent crit, and still a decent amount of haste. which is close to impossible with the gear so far available, I say with frost try haste,mastery,crit stat piority, you will definitely not be disapointed. fair enough, as I said I appreciate anyone doing something positive, keep up the good work. Topic title is a little misleading, you advertise your channel which has close to NO guides and or useful information for someone new or looking into playing a DK. You could have given a little information on rotation priorities, stat priorities useful glyphs etc, for example the PVE and PVP aspect of unholy dk is very different in raids you don't worry and or even try to stack necrotic strikes as bosses are immune so instead prioritize scourge strike, and most useful stat priority for Dk in PVP is usually mastery,crit,haste, but for PVE I had found the best balance of stats to be Haste,crit,mastery, information like this is more useful to incluse in a guide, not a flame response. I love your videos, and appreciate anyone that makes a helpful topic, just some pointers, after you amend your post if you wish to I will delete this response as to not ruin your posting. Top dps class and spec in Mop ! lol. I love how people say Warriors Are Op, it's been the same old argument forever, in truth Demo Warlocks are BEYOND imbalanced,balance druid heals are beyond inbalanced. BM hunter burst and, pet damage is beyond inblanced, and pretty much EVERY single healer specc is OP in BGS and arena. 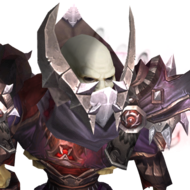 I am more of a PVE player in truth, and even me geared at ilvl 553 Arms. I barely make the top 5 in DPS which is always topped by warlocks,hunters, and rogues. I am not saying warriors are not OP, they are, but their skills are much closer to what they should be in comparison with any other class, Shaman DPS speccs being the worst ATM, and has been for a long time, most raiding guild don't use a Shaman for dps as their DPS sadly is over shadowed by any other class.